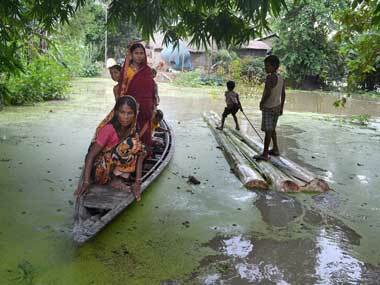 In the last two waves of floods in Assam, at least 50 people had died. Dhemaji is the worst-hit district this time. 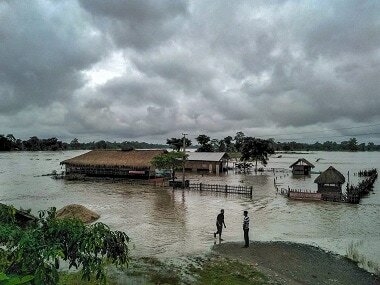 The flood situation in Assam deteriorated on Saturday with two more deaths reported in Sivasagar district, taking the toll to 43. 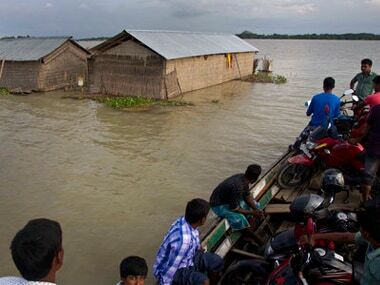 After showing signs of improvement in the past one week, the flood situation in Assam worsened suddenly on Sunday because of heavy rain in Arunachal Pradesh. 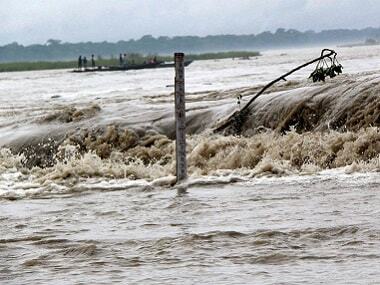 Three Assam districts were still affected in the latest wave of floods, which has claimed 75 lives. 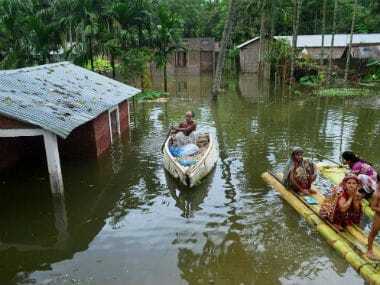 The flood situation in Assam remained very critical on Thursday as 10 more people lost their lives while 31.55 lakh are still affected in 24 districts. 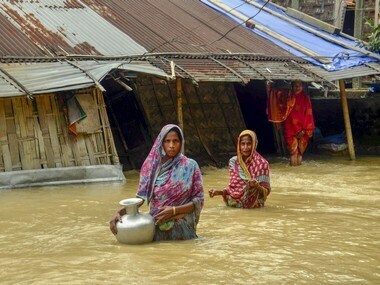 Heavy rain over the past few days has worsened the flood situation in Assam, with eight rivers flowing above the danger level. A teacher in Assam uploaded a photograph of hoisting a flag in the flooded school premises in Dhubri district's Fakirganj on social media on Tuesday showcasing the plight of people reeling under the floods.